South Jersey Family Portrait Mini Fall Session - NJ family photographer | maternity and newborn photography in Philadelphia, Cherry Hill, Moorestown, Cinnaminson, and NY. Fall IS HERE! IT'S one of my favorite time of the year... Fall Mini-session Days! Get your family together and join us on one of these upcoming dates. This year I will have 2 days available. Both will have a nature setting so we can take advantage of the beautiful New Jersey October. 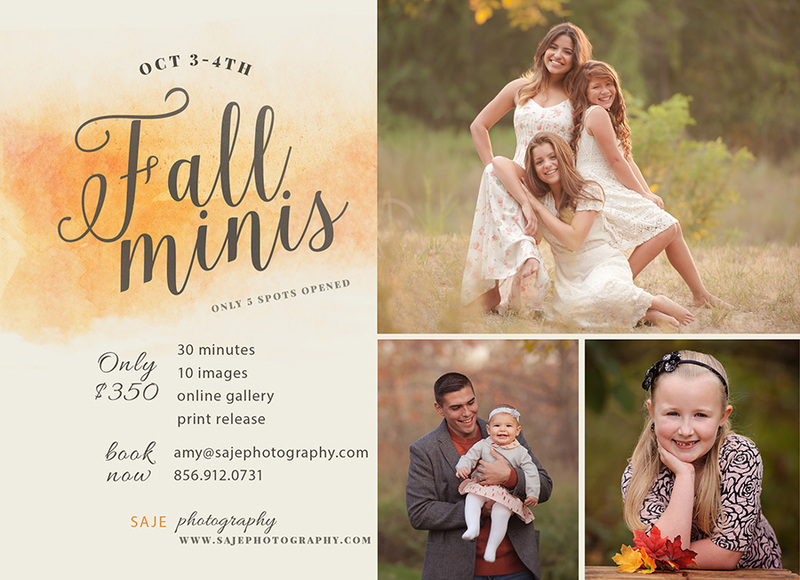 TIME-SLOTS BOOK QUICKLY SO PLEASE SEND A NOTE TO AMY@SAJEPHOTOGRAPHY.COM TO GET YOUR SPOT FIRST! PS. Refer 3 friends who book a mini (deposit paid for) & get yours for FREE! A mini session is a scaled down portrait session, typically themed, that lasts about 30 minutes. These sessions are perfect to get updated photos for end of the year cards gifts for family & grandparents, etc. Since the shooting time is much less than your average portrait session, the sessions are discounted and bundled with some products providing a fabulous savings! Your session fee includes a 30 minute session, 10 digital files of your choice with printing rights. Print packages also available. Anything that makes you and your family feel comfortable! I always suggest picking a color palette and building off of that. Some colors I think look great with fall colors are browns, blues, tans, etc. No need for everyone to wear the same color, feel free to mix it up! Please avoid overly busy patterns as they distract from the images. Also, please keep an eye on the weather and dress accordingly. 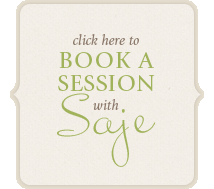 You can book your session by emailing amy@sajephotography.com. All sessions are booked on a first come, first serve basis. Session fee is due at the time of booking. Questions? Feel free to email amy@sajephotography.com or call me 856.912.0731.